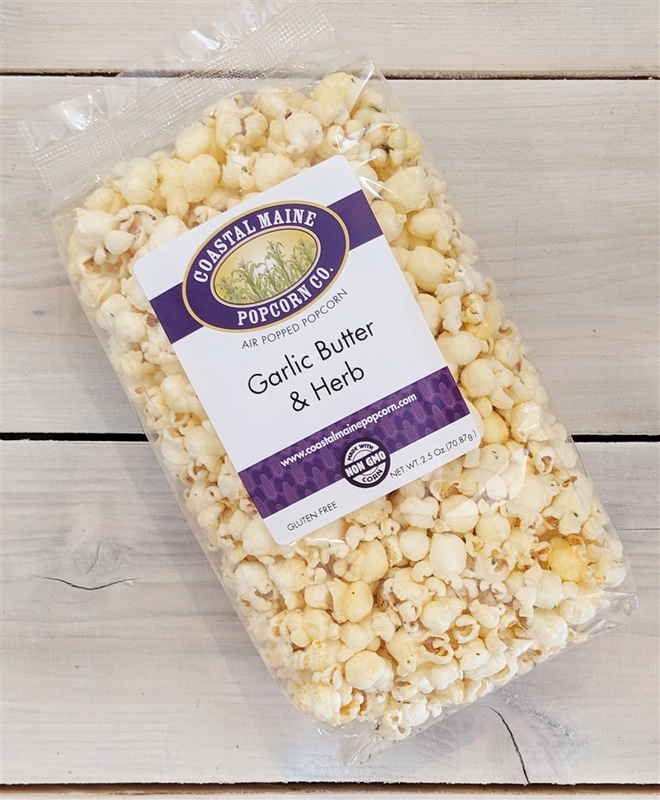 Our Garlic Butter and Herb popcorn is our new in-house favorite in Boothbay Harbor! Enough garlic that you'd better share this with everyone in the room or they'll all leave! Air popped corn,canola oil, maltodextrin,salt,natural & artificial flavors including butter,whey,dextrose,butter powder (butter(cream,salt),nonfat milk,BHA(preservative) buttermilk powder, garlic,onion,yeast extract,herbs,xantham gum,extractives turmeric & paprika. Less than 2% silicon dioxide to prevent caking.